The race to bring electric cars into the mainstream is gathering pace. 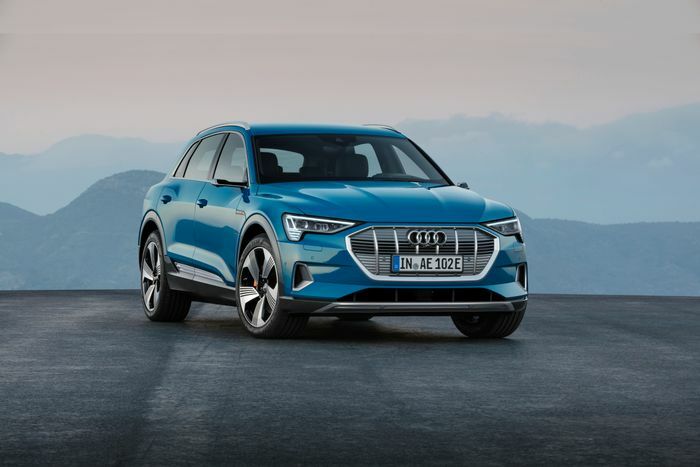 For a little while, Jaguar stood alone as the only conventional manufacturer offering an alternative to the products of Tesla with its really rather good I-Pace, but Mercedes joined the party earlier this month with the EQC, and now Audi has silently gatecrashed to showcase its offering. 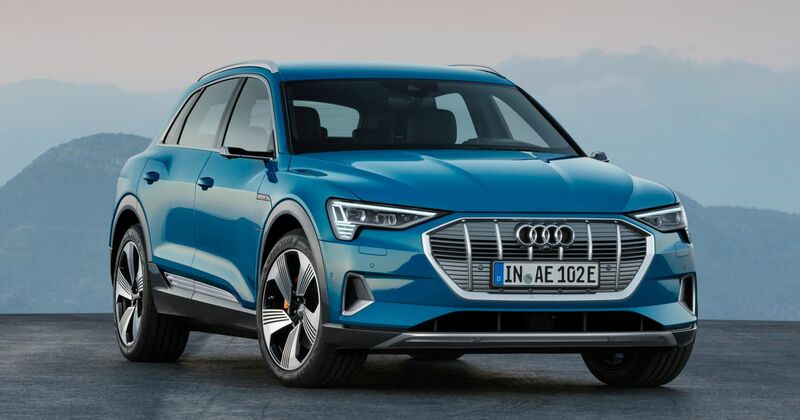 It’s called the E-tron, and the recipe is awfully similar to that of the I-Pace and the EQC. It’s an SUV, it has roughly the same power output, and the range is comparable. You’re looking at a combined output of 402bhp and 487lb ft of torque from two electric motors (one for each axle) and a 95kWh battery. With a 0-60mph time of 5.5 seconds in ‘boost mode’, it’s not as quick as either the EQC nor the I-Pace. In ‘normal’ mode meanwhile power is capped at 355bhp, allowing for a 0-60mph time of 6.4 seconds. The WLTP range of 249 miles is behind the Jaguar too - which manages 292 miles on the same testing cycle - but identical to what the Mercedes manages. You can charge it to 80 per cent in 30 minutes, but only if you can find a 150kW fast charger, which right now isn’t all that easy. That being said, Audi, BMW, Mercedes, and others have launched a collaborative project which will eventually see thousands of 150kW chargers popping up all over Europe. For context, a Tesla Supercharger has a 120kW output. 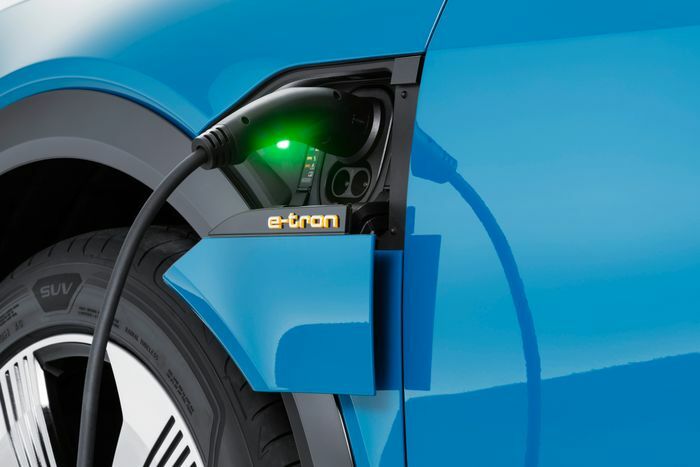 Plug it into your mains socket, and you’ll have your E-tron charged in eight and a half hours. Spec the optional 22kW charger, and it’ll take a little over four. The exterior design isn’t quite as conservative as the EQC’s, but Audi has still played it fairly safe. It looks very much like a Q8 but with a lighter silver grille, and the only real point of interest on the outside is the wing mirrors: they’re actually cameras. Yep, that old concept chestnut has made it onto a production car for the first time ever. The inside is pretty restrained also, with Audi’s familiar MMI dual touchscreen infotainment system dominating the centre console. First deliveries should be taking place late this year. 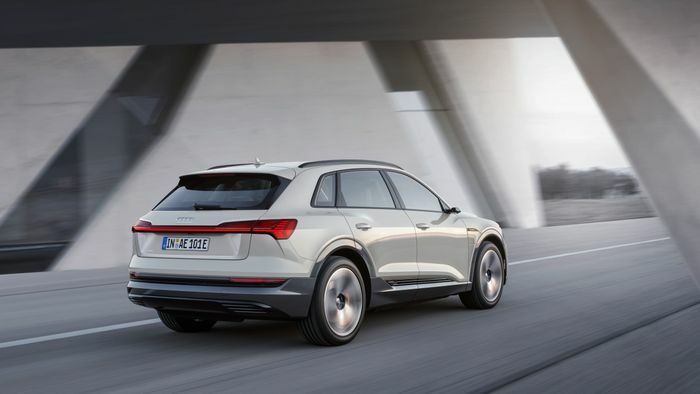 There’s no UK pricing just yet, but Audi has said that the car will cost €79,900 in its native Germany.